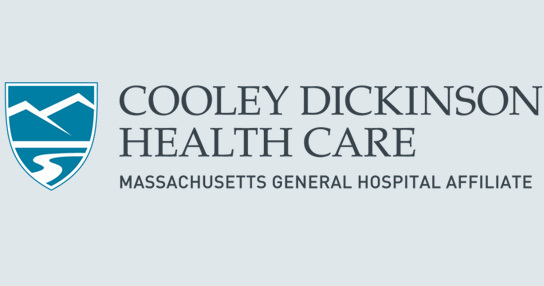 In the past eight quarters since the end of 2007, Cooley Dickinson Hospital - a 140-bed facility in Northampton, Massachusetts - has had three quarters with zero incidents of pressure ulcers (bed sores). It's impressive because even under the best circumstances, bedsores "happen." That is, patients enter hospitals with their skin severely compromised from long illnesses. Or their treatment is so stressful on their bodies - either because they are on ventilators or constrained to their beds - that energy is diverted from the largest organ (skin) to where it is most needed. It takes constant focus to combat pressure ulcers, and in the case of Michele Craig, Cooley Dickinson's Wound and Ostomy Nurse, a large measure of good will. "I'm kind of relentless," she says, adding with a laugh, "and I try not to be too grumpy." Because of the financial pressures under which many Massachusetts hospitals are operating, Craig's staff was cut; she's now the sole wound care practitioner on staff. But she's quick to point out, she's not solely responsible for Cooley Dickinson's good pressure-ulcer-reducing numbers; it's a team effort that involves everyone from the nursing staff, through nutrition, physical therapy, and even housekeepers, since an improperly made bed can cause the shearing and friction forces that aggravate skin. "I post the results of my audits on each floor and I try to be as positive as I can," Craig says. "I often write on the reports, 'Down 3%! Great job!' or 'Keep Up the Good Work!' "
Each patient admitted to the hospital is checked for pressure ulcers. Each pressure ulcer is photographed upon admission. Craig surveys every unit, except childbirth, quarterly. Each pressure ulcer is charted to record whether it is facility-acquired or not. If it is the result of the hospital stay, Craig writes a case study and brings it to a meeting of the caregivers on the floor where it occurred. What could have been done differently? How did it occur? "If I wasn't consulted, I need to know why," she says. "I need to look back on the chart to see who noticed it. Did the staff document precautions correctly? Did they miss the assessment at admission?" Craig says that while she is relentless in getting to the bottom of the issues, she is never judgmental, and sees no need for pointing fingers at staffers. "It's not about assigning blame," she says. "It's about improving the process." After the issue is identified, Craig assesses the patient, and has a physician sign the orders for the wound care. Then Craig works with another main component of the care team in many cases - the family of the patient to ensure that once the patient leaves the hospital the pressure relief measures continue. "People who are on prednisone, who are diabetic or who have low albumin levels - they're at risk," she says. "Sometimes there are people who are just experiencing skin failure." She stresses that some patients just require more care than others to prevent pressure ulcers and that in some cases preventing them is extraordinarily difficult. Craig regularly assesses the lotions that Cooley Dickinson uses to prevent wounds and she has a say on one of the most important wound-fighting tools - the beds the hospital has bought and rent. "Right now the newest thing is a 'micro-climate' covering," Craig says, explaining that it's a top layer on the mattress that doesn't trap moisture or heat. But lotions, beds and other tools, such as waffle boots and chair cushions, all ultimately depend on the staff overseeing their use. The human connection is where Michele Craig finds herself focusing more and more attention. "I try to be available to the nurses. I try to be positive because, let's face it, direct patient care is difficult and labor intensive, and people respond well to praise," she says. A pressure ulcer or bedsore is an injury to the skin or underlying tissue usually over a bony protruding area of the body. Pressure ulcers can range in severity from minor skin reddening to deep wounds. Factors that cause pressure ulcers are unrelieved pressure on the skin, or slight rubbing or friction on the skin. PatientCareLink is a joint venture of the Massachusetts Health & Hospital Association (MHA), Organization of Nurse Leaders of MA, RI, NH, CT, VT (ONL), Home Care Alliance of Massachusetts (HCA) and Hospital Association of Rhode Island (HARI). © 2018 Massachusetts Health & Hospital Association, Inc. All rights reserved.